7 PM, Doors open at 6. The next show at the South Philly String Band Club,will be Wednesday Evening, June 6.2016. 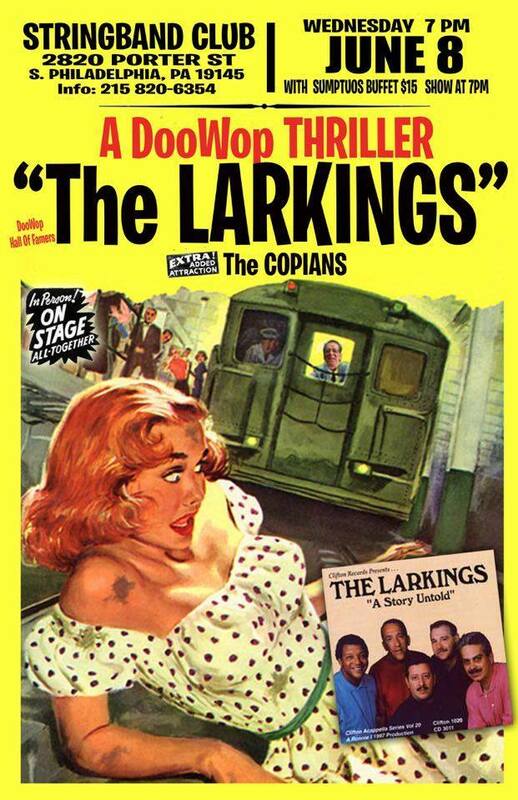 The featured group will be the Larkings with an added appearance by the Copians. Doors open at 6:PM. $15.00 will get you in the door for two full sets by the group, a delicious buffet by in-house chef Bobby Buerklin and his son Joe, dancing to the oldies and the collectors` corner by DJ and radio personality Jim” Night Train” Bakay, and a cash bar.